Although the term was coined in the early 1960s to describe traffic jams in Philadelphia the day after Thanksgiving, and has become depicted in recent years by hordes of unruly mall-customers, Black Friday has a more fateful and historic connotation in Australia. This due to their Black Friday fires in 1939, where on January 13th [a Friday no less], a total of 69 sawmills were burned and 71 lives lost. In Forestry News, new advances in Christmas tree innovation could help economic growth in Nova Scotia, notably a balsam fir that would retain needles for up to three months; the hullabaloo over logging and caribou in Northern Ontario continues to intensify; a draft agreement to support caribou recovery in BC has been reached; and a former Maine commissioner speaks out on forests, jobs and excessive CO2. Finally, a Swedish power plant is using clothing discarded from H&M rather than coal and oil as part of its strategy to go fossil-fuel free by 2020. According to Johanna Dahl, “H&M does not burn any clothes that are safe to use”. In fiscal 4Q17, Deere’s Construction & Forestry segment reported revenue of $1.7 billion, a 37.0% rise from fiscal 4Q16, when it reported revenue of $1.2 billion. The segment’s revenue growth was driven by higher volumes, better price realization, and favorable foreign exchange currency hedging. The Construction & Forestry segment reported operating profit of $85.0 million in 4Q17, a 103.7% rise from fiscal 4Q16’s operating loss of $17 million. …The segment’s outlook appears to be positive, as the US GDP is expected to grow 2.5% in fiscal 2018, and crude oil prices are expected to rise, which will encourage crude oil production and improve construction equipment demand. US log exports in the first three quarters of this year were roughly on par with those of last year at 1.563m m³. A marked change occurred in the distribution of wood species, however. Exports of red oak were stepped up by 64% to 451,981 m³ and thereby accounted for approximately 29% of the USA’s total log exports. Exports of maple, however, still the most species of wood in the reference period of last year, fell by another 12% to 292,741 m³ and their share of the total exports decreased accordingly to 19%. Exports of birch also took a downturn (-19% to 111,927 m³) whereas those of ash (+10% to 191,013 m³), white oak (+20% to 159,869 m³), and walnut (+28% to 134,139 m³) all increased. 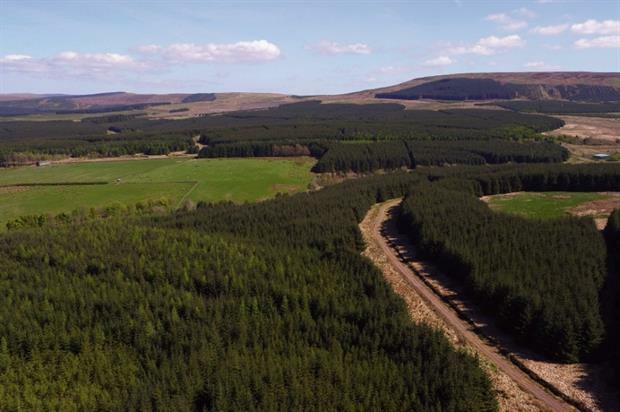 Over £111 million of forestry property was sold in the past year, 40% more than in 2016, according to the latest annual UK Forest Market Report. According to the report, prepared by Tilhill Forestry and forestry agent John Clegg & Co, the market has this year returned to growth after a quieter 2016, with 87 forest properties sold for a total of £111 million, compared to a five-year average of £104m a year. The industry is providing investors with annualised returns of 10.7%, and continues to outperform most other asset classes, the report says, adding that it benefits from strong political support due to the industry’s economic contribution, green credentials, carbon sequestration and biodiversity. New Zealand structural log prices rose to the highest level in 24 years and A-grade export logs hit a record as local mills compete with the export market to secure supply for the domestic construction market amid strong demand from China. The price for structural S1 logs increased to $130 a tonne this month, from $128 a tonne last month, marking the highest level since 1993, according to AgriHQ’s monthly survey of exporters, forest owners and saw millers. Export log prices lifted between $2-to-$5 a tonne for the majority of grades, with the price for A-Grade logs touching $128 a tonne, up from $127 a tonne last month and the highest level since AgriHQ began collecting the data in 2008. New Zealand is experiencing strong demand for its logs from China, which has clamped down on the harvesting of its own forests and reduced tariffs on imported logs to meet demand in its local market. 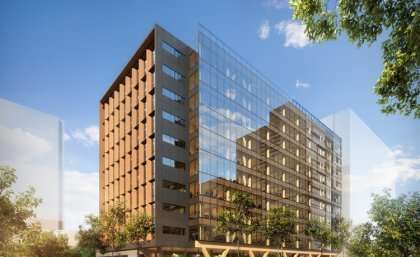 Australia will soon hold the record for the world’s tallest timber office building at 5 King St Brisbane, and with the help of The University of Queensland’s new research hub, wooden skyscrapers could become the norm. ARC Future Timber Hub (Australian Research Council) which launched today will be Australia’s leading timber research collaboration, bringing together experts from industry, government and academia. Structural engineering expert and Hub Director Professor Sritawat Kitipornchai from the Faculty of Engineering, Architecture and Information Technology said the research facility will draw on strong industry support to make significant changes to the building design, materials manufacturing and construction industries. …”Using sustainably managed plantations to produce engineered wood products, and developing prefabricated construction technologies, allows engineers to minimise waste and enhance building quality and performance. KAMLOOPS, B.C. — Questions are being raised in the city of Kamloops over the issue of a monument honouring volunteers who helped thousands of people forced from their homes during last summer’s severe wildfire season. Kamloops Mayor Ken Christian says residents have been speaking out since the Thompson-Nicola Regional District announced last week that $100,000 will be set aside in the 2018 budget to commemorate the efforts of volunteers. Christian says he has also talked to several volunteers who told him they helped because it was the right thing to do, not because they expected any recognition. The mayor says many recalled a shortage of computers to process the evacuees and there have been suggestions that the funds could be better spent on computers or other upgrades to emergency services. The federal and B.C. governments have developed a draft agreement to support recovery of the southern mountain caribou, starting with herds in the B.C. Peace and down into the Rockies. The agreement sets out short-, medium- and long term goals for reversing the decline of the population, known as the central group, according to a statement issued Thursday. Actions under the plan include range planning, habitat protection and restoration, as well as population management, including maternity penning and access control to sensitive caribou habitat. B.C. is also to establish a fund to support the efforts. Following consultations with Indigenous communities and stakeholders, Ottawa and Victoria are expect to conclude their negotiations on the draft agreement over the next several months and release a final agreement in spring 2018. Over ten days in November, Sierra Club BC and the Wilderness Committee hosted six public meetings in six different communities to talk about forests on Vancouver Island. All six communities are – or were – forestry towns. The meetings were well-attended and full of passionate people. It’s clear that forest ecosystems and forestry rank as some of the most vital sectors for improved management, reconciliation and a renewed vision in the scope of climate change and land-use planning in BC. … Among the public, however, there is a huge amount of mistrust in large logging corporations and a strong perception that these corporations aren’t managing forests in the best interests of local communities. There was a desire for more local processing of coastal timber and more local production of wood products. The group Elphinstone Logging Focus (ELF) is trying to convince the District of Sechelt and the Sunshine Coast Community Forest (SCCF) to sign on to a memorandum of understanding that would put one of the forest’s planned harvest blocks on hold. The window for contractors to bid on road building and timber cutting on a block in Halfmoon Bay and two in the Wilson Creek area, EW23 and EW28, known by some as the Chanterelle Forest, was due to close Nov. 24. ELF has long opposed logging in EW28, and several of its supporters were in the public gallery Nov. 15, when SCCF chair Glen Bonderud delivered his quarterly update for Sechelt council. As well as the usual facts and figures, Bonderud mentioned the impact controversy has on the SCCF’s volunteer board. Re: “Huge salvage job ahead in B.C. forests,” column, Nov. 16. Les Leyne describes the urgency of salvaging trees killed during the 2017 record wildfire season, before the lumber value of logs degrades. This, however, leaves out what’s important — making sure that large-scale clearcut salvage logging does not result in a double hit to already-stressed forest ecosystems. Forest health is best understood as the rate of recovery from ecological stresses caused by fire, logging, insects, etc. Greater stress means poorer health and longer recovery. Stewardship is not about “cleaning up the mess.” Salvage logging will rarely contribute directly to ecological recovery. Removing undamaged live trees among the dead and damaged must be minimized. …Wouldn’t it be lovely if those [Christmas tree] needles would just stay on the tree? …Dr. Raj Lada, a plant stress and eco-physiologist in Dalhousie’s Faculty of Agriculture, established the first national Christmas Tree Research Centre (CRC) on the campus. At the centre they’ve been developing a SMART (senescence modulated abscission regulated technology) balsam fir that would retain needles for up to three months, and what they’ve done is now being offered to the Christmas tree industry. Christmas tree growing and exporting is a $100 million industry in Atlantic Canada, but it faces competition from artificial trees, which can last for many years. …“I’m a long time fan of live trees,” Lada said. 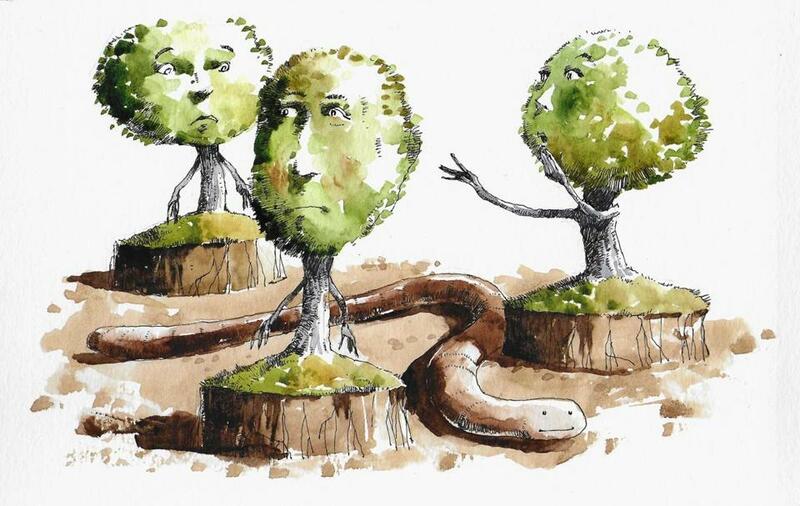 “It’s not just about trees, but about people and lifestyle. I connect with people and their families, so it’s personal too me. Nova Scotia — The author of a new book is confident there will be “an awakening” relating to the Northern Pulp mill and hopes those who share her cause can “clean this mess up” – quoting Pictou Landing First Nation Chief Andrea Paul. Joan Baxter spoke to a full auditorium of supporters, at the official launch of her book at the Museum of Industry. “The Mill: Fifty Years of Pulp and Protest” documents the political resistance of activists who object to the mill, asserting that the Nova Scotia government is beholden to private interests, and that the mill is a threat to local ecosystems and wildlife in and around the Northumberland Strait. If there was anyone who didn’t agree with Baxter and her position, they did not speak up that night. Forest Products Association of Canada acknowledges students from New Liskeard and North Bay. Isabelle Males, a member of Timiskaming First Nation who hails from New Liskeard, and Tristan Flood, a member of Matachewan First Nationwho hails from North Bay, each received the Skills Award for Aboriginal Youth during the Conference Board of Canada’s National Summit on Indigenous Youth and Natural Resource Development in Calgary. “Both winners have shown strong commitment to their communities, an impressive interest in their fields of study, and should look forward to rewarding careers in Canada’s innovative forest sector,” said Margaret Miller, natural resources minister for Nova Scotia, in a news release. The hullabaloo over logging and caribou in Northern Ontario continues to intensify. A coalition of Northern Ontario mayors, First Nation leaders, chambers of commerce, unions, and forest professionals were in Queen’s Park on Nov. 22 to pressure the Ontario government to stick up for the forestry sector. They say “misinformation” being spread about the industry by environmental groups in a “coordinated effort” to push for more habitat protection of caribou. The group points to a political letter-writing campaign and opinion pieces published in the Toronto media by the David Suzuki Foundation, Environmental Defence, CPAWS Wildlands League, the Natural Resources Defence Council, even Ben & Jerry’s ice cream. …“To claim Ontario has not acted to save caribou is conveniently ignoring over 20 years of work, 600 tracked animals and $11 million dollars of government research,” said Kapuskasing Mayor Al Spacek, president of the Federation of Northern Ontario Municipalities, in a statement. The 2017 wildfire season burned nearly 9 million acres across the United States, killing dozens of people, consuming $2.9 billion in federal firefighting funds and costing billions more in property damage. But members of Congress are making things even worse by trying to exploit the public’s fears and misunderstandings of wildfire. Under the guise of protecting us, some lawmakers are pushing bills that would harm public forests and wildlife, increase wildfire suppression costs, endanger firefighters, suppress public oversight and do nothing to make our communities safer. 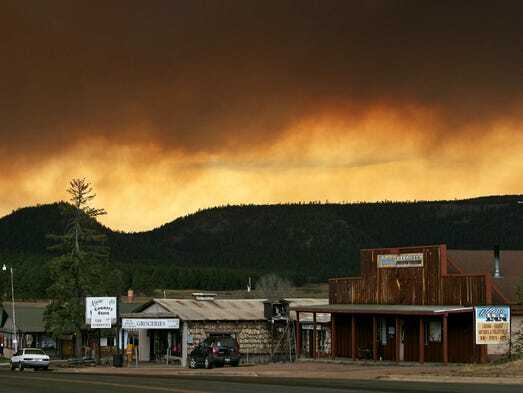 …Its supporters willfully misrepresent it as a road to forest “health,” when in fact it charts a dangerous path toward more wildfires and shows a fundamental misunderstanding of forest ecosystems. Lezlee Johnson says her bias runs in favor of trees. Fortunately for her, she’s a forest health manager with the North Dakota Forest Service. 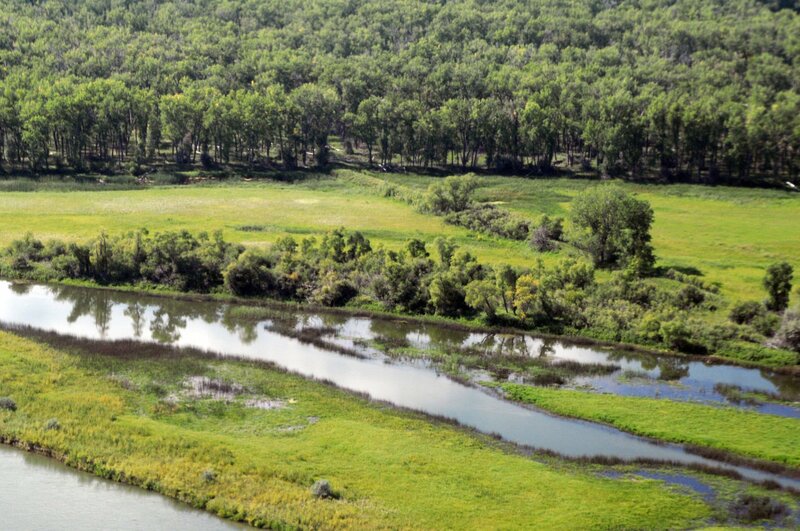 Yes, North Dakota, where about 1.8 percent of the state’s area is native forest. “The trees we have are extra important partly because of that,” she said. Now the North Dakota Forest Service will investigate how extensive the state’s tree resources are, relying on data from the Great Plains Initiative II. The project with Kansas, Nebraska and South Dakota maps tree cover on the Northern Plains with aerial imagery analyzed into data. …All forest resources in North Dakota, including windbreaks, comprise just less than 4 percent of the state, said Claeys, adding there are many benefits from trees. This year, the late Larry Holmgren would have been the president of the 109th Pacific Logging Congress, an organization that represents timber industry workers and related businesses in the United States, Canada, and New Zealand. Holmgren was asked to lead the group in 2013 and the Hydesville resident had accepted the nomination to serve as the 2017 president of PLC. Three months later, Holmgren died of cancer. Joe Miller, with Trinity River Lumber Company in Weaverville, then stepped in to lead the PLC in what would have been Holmgren’s year. At the recent gathering of the 109th PLC in Scottsdale, Arizona, Holmgren was remembered for his contributions to the timber industry and to his family and many friends. “Stone walls are the Mass Pike of the New England forest,” says our guide from the New Roxbury Land Trust, pointing to the long stone wall jutting into the woods. She explains how leaves collect along it and rot, creating habitat for all manner of bugs, beetles, and amphibians, which mammals eat. I am lost in thought… when I jerk my head up, startled by her next sentence. “The problem is earthworms, they’ve invaded the forest — fungi are dying off.” She begins to describe the mysterious symbiotic relationship between fungi and the roots of trees. Fungi in the soil invade tree roots for their own benefit and, in doing so, create miles of network that link the roots of forest trees; they are the fiber optics of the forest, miles of dense web that trees use to exchange nutrients and information. The Downeast woods are where jobs and global warming are wed. For starters, Hancock and Washington are among the most forested and privately owned counties in the nation. …Consider CO2. Our school curriculum teaches us CO2 is a food and fertilizer for our forests, affirmed by the Maine Forest Service with its forecasts of high annual growth rates in our young Downeast working forests. 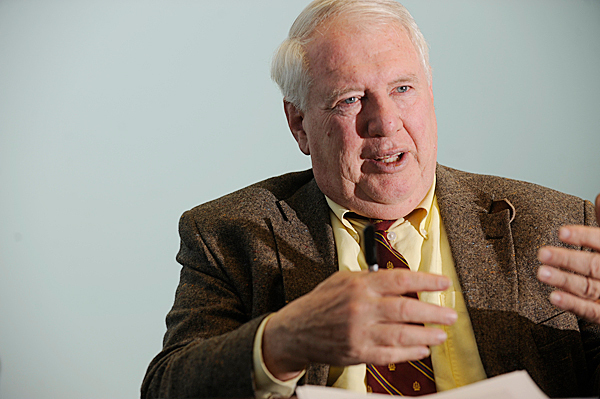 …Globally, Maine’s forest economy also has reason for hope. The newly expanded Panama Canal, for example, allows super containerships to carry Downeast forest products from Eastport to Shanghai in a third less time and a third less distance, and China has no trees. …Finally, forest economists correctly observe that the forest industry sector has one of the highest job and economic multiplier effects of any industrial sector in the world, far above service and recreation sectors. 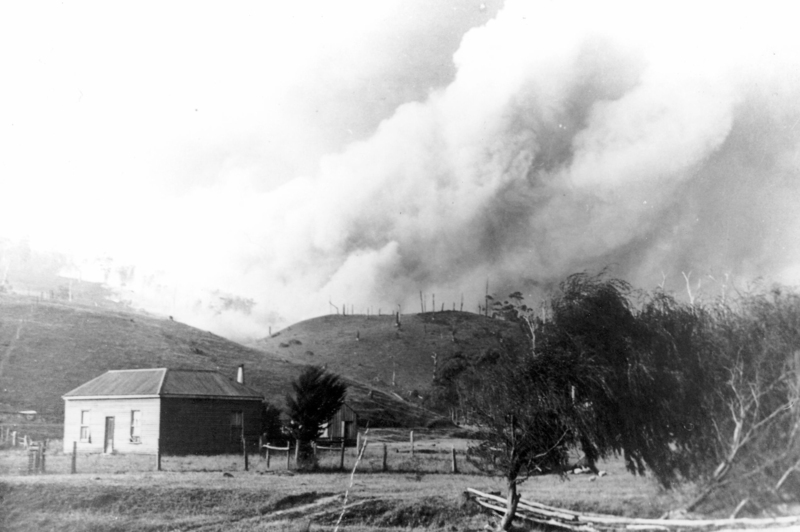 The bushfires of 13 January 1939, known as the Black Friday fires, followed a long drought and a severe, hot, dry summer. Fanned by extremely strong winds, these fires swept rapidly across large areas of Victoria, causing widespread destruction. An area of almost two million hectares was burned across the state, with 71 people losing their lives. Whole townships were destroyed, many sawmills burned to the ground and thousands of sheep, cattle and horses were killed by the intense heat and flames. …The 1939 bushfires were perhaps the most significant event in the environmental history of Victoria, profoundly damaging millions of hectares of forests, affecting soil fertility and impacting important water catchments. …Judge Stretton made seven major recommendations to improve forest and fire management and to help prevent events like the Black Friday bushfires from occurring again. OXFORD, ENGLAND – In response to climate change, land is key. Today, agriculture, forestry and other land uses account for roughly a quarter of global greenhouse gas emissions. But adopting sustainable land management strategies could provide more than one-third of the near-term emission reductions needed to keep warming well below the target. …Some of the most promising ways to mitigate climate change are what we call “natural climate solutions”: the conservation, restoration and improved management of land, in order to increase carbon storage or avoid greenhouse gas emissions in landscapes worldwide. …Supporting innovation and entrepreneurship can also help power change. New processes… changes in the construction industry, which is turning to more efficiently produced products like cross-laminated timber, can help reduce carbon pollution.